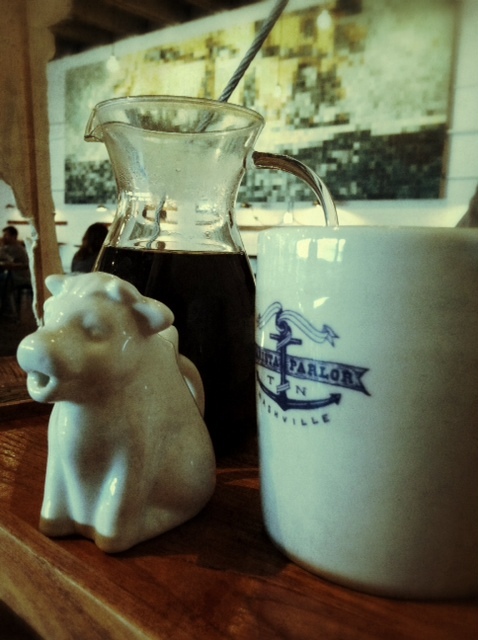 We took an early morning trip to East Nashville on Saturday to try out Barista Parlor. 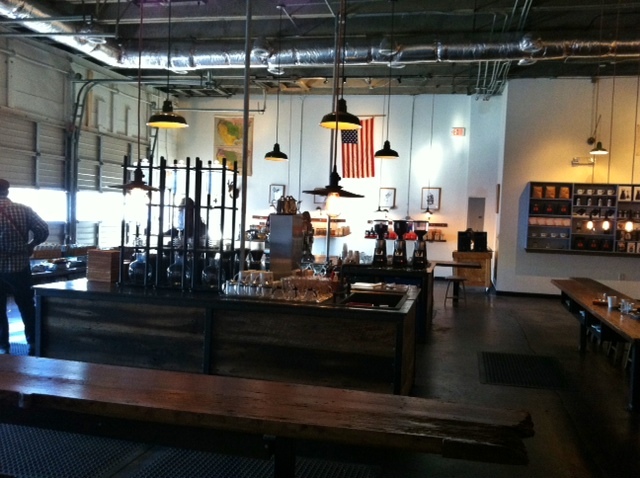 (They are also on Facebook) We heard that they served the Stumptown coffee we were so fond of in Portland. So, off we went. This place did not disappoint. It has a great vibe and a super nice staff. How cute is this coffee tray? 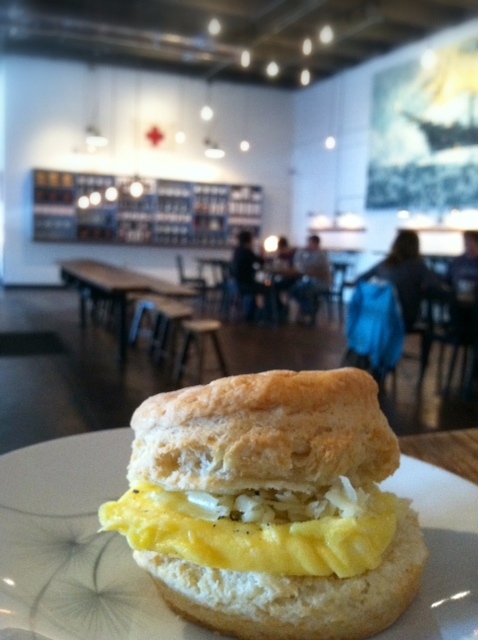 They had fluffy biscuits and a great atmosphere too. We will return for sure. 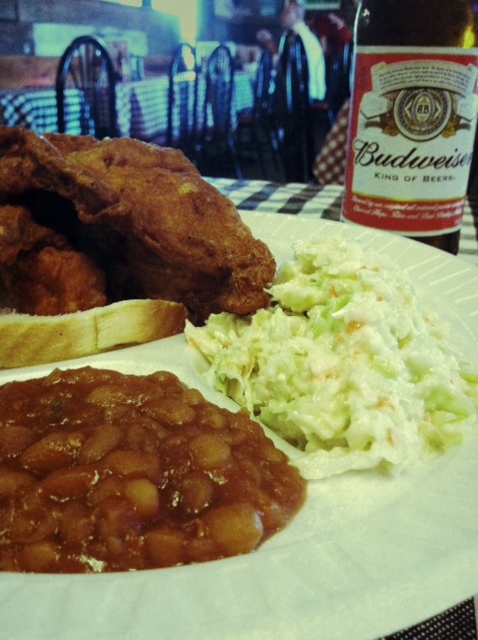 We also got a chance to check out the new Gus’ Fried Chicken. Gus’ is out of Memphis and I have been eating at the Mason, TN location since college. The new spot has a few more side dishes available and a larger variety of beer and although the kitchen is setup just a little differently than we are used to, the chicken is still tasty. The staff at the Nashville/Brentwood location was friendly and attentive. Check them out! We found another cool coffee spot a little closer to home this weekend too. 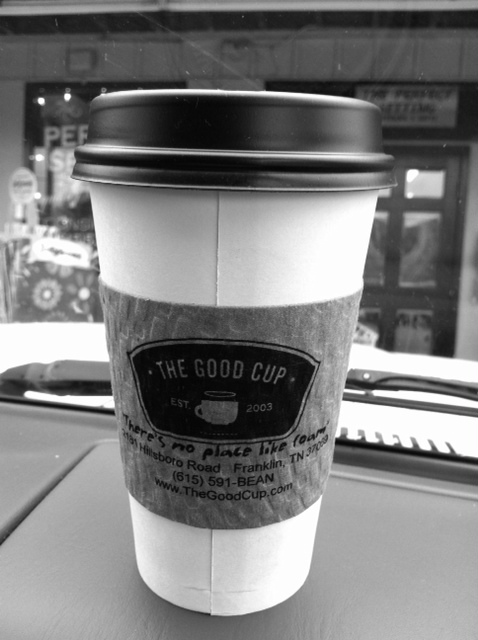 The Good Cup is located in the Grassland area and is a great spot to meet up with friends or get some work done. They also make a good sausage biscuit. 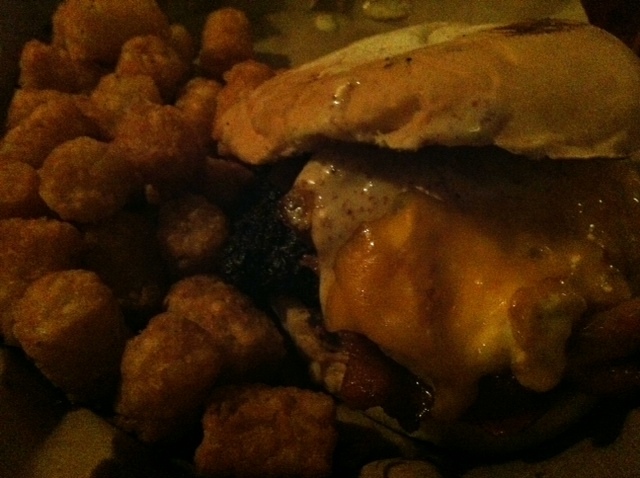 Sunday night we went back to East Nashville to meet some friends for dinner at The Pharmacy Burger Parlor. These burgers were big and tasty and the service was fast. 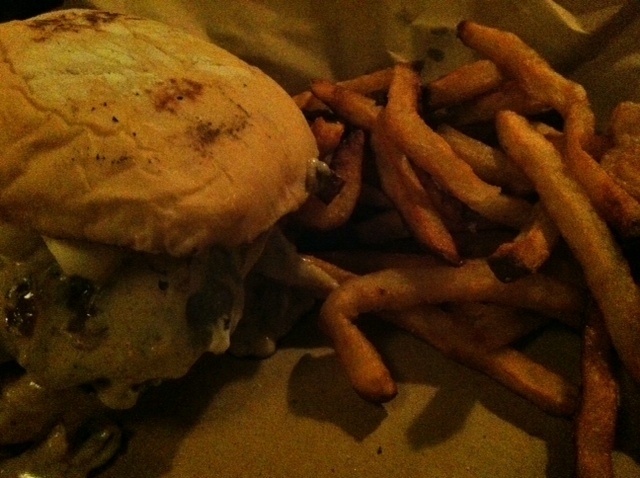 The Farm Burger was our favorite and the beer was great too. 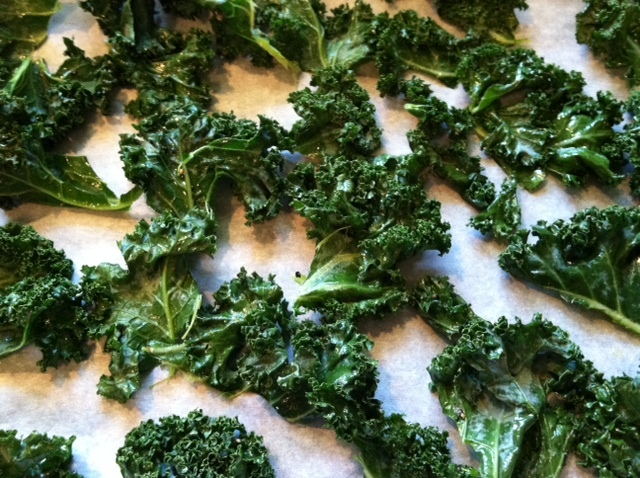 Have you ever tried making Kale chips? 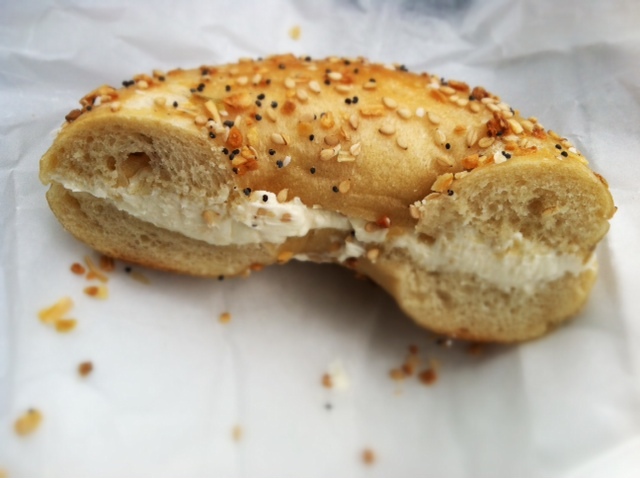 They are a delicious, healthful snack. All you do is cut the leaves from the stems. Toss with 2 tablespoons olive oil and sprinkle with sea salt and freshly ground pepper. Bake on parchment paper lined pan at 275 degrees for 20-25 minutes or until desired crispiness. For best and most crispy chip eat within 2 days of making. Man, you came to East Nashville TWICE this weekend! Did you try the sweet potato fries at The Pharmacy? Did you get any sauces? The beer mustard is delicious! It’s a heavy meal and I only ate half when I went but it sure was good. When you’re craving a burger . . . I don’t think it could be beat.